In this article, we present the Internet of Things (IoT) and the current security status of IoT devices. The reader will also gain a practical guide towards IoT security in the workplace and an account of the latest information to help futureproof organisations against cyber attacks. Through IoT, Internet connectivity is expanded outside of standard devices, including smartphones and laptops. IoT allows everyday items to become Internet-enabled. By implanting these devices with technology, the tool develops its capability to interact and communicate over the Internet and ultimately enables its remote monitoring and control. What are the main security challenges of IoT? IoT provides a range of advantageous new features for users both in the home and in the workplace. However, it is crucial that users recognise and carefully think through the potential security issues that come with the IoT phenomena. Fundamentally through IoT users can connect their device from their phone to a network-connected computer system. Providing a powerful process of connectivity for the users and beneficiaries, yet a security headache for IT departments and law enforcement, and of course a new source of exploitation for hackers. With an increased reliance on smart technology and the IoT, the security of traditionally non-internet-exposed devices thrusts into the spotlight. With the average person using IoT technology, this exposes a large amount of the population to potential security threats such as malware and computer viruses. Given the growth in the usage and deployment of IoT devices, the potential for physical cyber attacks such as attacks through smart city technology (example: automation of traffic lights) could also become a heightened risk, resulting in injuries and the prospect of widespread damage. Be vigilant to DDoS attacks on IoT devices. Back in 2016 ‘Mirai Botnethad’ infected in the region of 65,000 machines in just 20 hours! Mirai appeared to target routers, printers, IP cameras and digital recording devices. Buggy apps are a unique problem of IoT systems. They can cause unexpected ‘bad app’ exchanges and failures, leading to unsafe and dangerous activity. For example, buggy apps could unlock the connected-computer security system of a building or even a bank, allowing access for criminals. 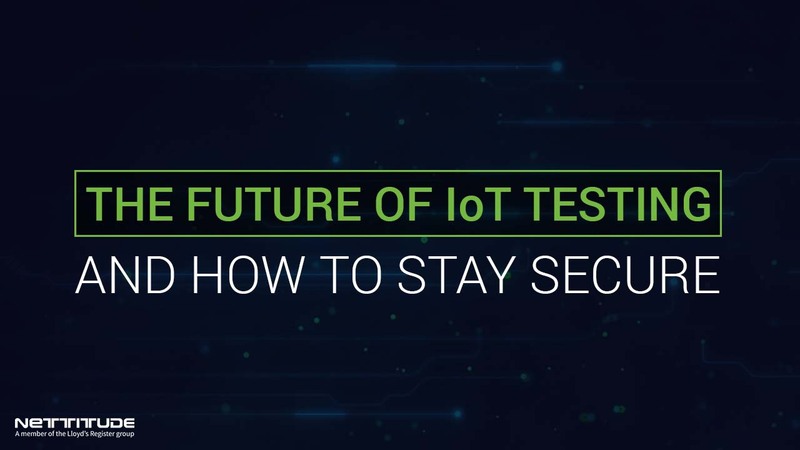 As the participation of IoT rapidly grows and advances, many professionals are calling for a greater emphasis on security in the development of IoT technology. There is also much debate surrounding the need for regulatory changes in the industry. The age of IoT has also introduced a subdivision of internet-connected devices that are classed by some and could be used as “spyware” from appliances to cameras and even thermostats. How is the IoT influencing industry? What can companies do to futureproof themselves against IoT security issues? First launched in 2015, the Internet of Things Security Foundation (IoTSF) has a mission to secure IoT through best practice and knowledge. The IoTSF includes technology providers and telecommunication firms. Mozilla launched Protect Things in 2017 to provide a safe route to IoT devices through a Web of Things gateway. Now let us look at IoT in the workplace. The best place to start is to list the IoT technology you have deployed or are considering adopting in your organisation’s network. How straightforward are they to patch? What security procedures do they support? Worse case limit personal devices to a guest network.